Our prices are calculated per room and night. All prices include breakfast, wireless Lan, as well as VAT. We guarantee that you will find no cheaper prices for our rooms other than directly through our hotel. Please check our homepage or contact us via telephone, email or fax. Unfortunately there are no pets allowed in our hotel. Please note for your day of arrival that our reception desk is open until 11:00 p.m. Contact us in advance if you are arriving later than that. 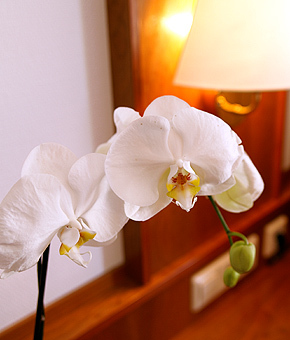 We wish you a pleasant stay in our Hotel Germania in Reutlingen. Experience the area Swabian Alb and the nearby outlet city in Metzingen.